App won't open after my current update but it worked great for me before this update. Please fix ASAP. What did you do? App worked great before your "update" now it won't open at all. Please fix this app. Rebtel or some other app will be getting your share if you don't. Yours was the best of the bunch!!! I will report to Apple. They blocked my account with money! I was happy until KeKu stole my minutes last night... My data said I talked to my friend 38 minutes ... the onIy thing i did was calked a couple time but i could not reach my friend then I went to sleep @ the time it said I called, I emailed the support team but I have not heard from them so I am very unhappy! This apps is really buggy, it crashes a lot, it needs works!! Am in the process of switching back to Rebtel. You guys need to check ur sh** together and release updates and bug fixes the apps!! Jesus, how hard is that to do? With the amount of money am spending on here on international calling through KeKu, I deserve better! Bad UI, unstable and difficult to use. Hope it had a better usable interface. Probably wont new and shift to google voice subscription. 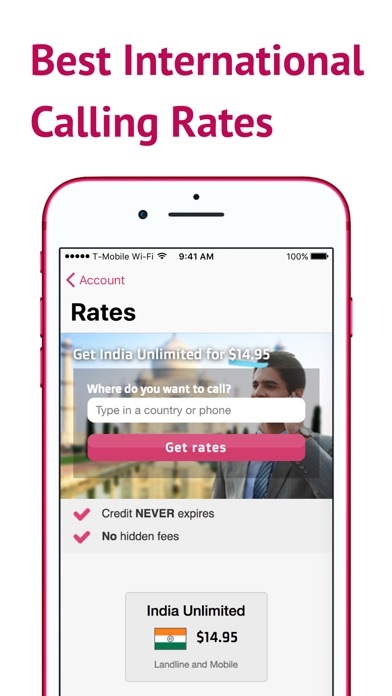 Since the last update today the app starts and freezes at the introductory page "Enjoy cheap KeKu rates....". I use it on my 3Gs. Please fix ASAP. I still have money in the account but now I cannot make any calls. They want a pin number which they never assign. Beware. With the new update won't even work. Good job ugh the what used to be free texting to a Bahrain number now says 7.00. It won't even send the text. And the stupid signature is annoying. Says sent free with KeKu lol well it's not free anymore. It was fine before your pathetic update. I am really pleased with this app! No more calling card to call my relatives overseas...Thank you. -When you contact the helping service for the problem in this app, they will answer you quickly, but it's always useless ex you cannot claim any money back if it lost unresonably. -Sending SMS always not go through the recipient, but your money lose, and cannot get it back. -This app dose not guarantee that you will call to any number with your real number, and it's always not. -New version of this version (2.7) often crash and worse connection/qulity of sound than this version. I changed my vonage app for this, but app crashes a lot and dont always want to open. Last time it stole $ 4.99 off of my itunes account when i was trying to buy more credit. Its amazing but please make an option to hide the number as sometimes i do not. Need to show up my no. Like all the other reviewers before, the other end is unable to hear while using call using internet feature. Contacted support but they suggest using local access number instead of getting the app fixed! The best and cheap calling app. Voice clarity is decent. Easy to get and stay connected overseas through this app. Kudos to developer. It is bit cheaper than other provider but quality wise it is not at all good. So far i found Rebtel the best one. With keku am having so much of problem. Connection is not at all good. It breaks so often. I have contacted customer support too. They are quick to reply back. But even after contacting customer care it didnt help me. Two stars, one for cheap price n other for quick response by customer service. Hope they will provide good service in near future. Make this app beautiful and I would love to recommend this to other people. It is crashing so much Please guys fix it! They are cheaper than Rebtel and Localphone for Cuba and quality was perfect. Great app with great features...very cheap to SMS as well. Can't use app lately, it just crashes. Very inconveniencing when u need to make an international call. Does not work since the update in IPhone4S. Please FIX asap. I have been using Keku for over two years. Never had any issues until one month ago. I can make the call fine using internet but the problem is that other party can't hear my voice at all. I have tried resetting network settings on my phone, uninstalled and reinstalled the app,logged out and logged back in multiple times but nothing works. Its the same problem on my wife's phone also. Support tells me to use local number but I can't use it because my service provider charges for long distance. I have LTE on my phone with more than 25 mbps connection so speed is not a concern. Even the new "call from computer" has same issue. Tried from two different computers, one Mac and one PC, doesn't work. I am not going to put any more money in my account. I loved the product but not anymore. Looks like somebody is taking a little success for granted. Good luck with that. I do not recommend this app to anyone. The app crashes as soon as you try to open it in iPhone 5 with latest iOS.. This is happening after the last app update. I was using stana card before KeKu took over. Although KeKu does bring an "app", it's not useful if I can't see my smart dial numbers because those use my local operator's minutes. It's a decent app providing basic stuff!!! The app is not working in ios7, I am beating myself as I spent $20 for unlimited plan I can't use. Cheaters. i have been using this app for a month now and its a very big pain to make calls. Some time it doesnt connect and you have to insist for a very long time. Which means you cannot use it in case of emergency. It takes forever to locate a local number and dedicate it to you. Sometimes it just disconnect your call and you have to go through a big hastle again to reconnect. I tried contacting this company but mno response. Use it for calling family overseas. It's great. These guys really go out of their way to take care of their customers. I really appreciate the patience and the help with all my questions! Great service. Keku used to be my best app to use, now it's the worst app to use. Everything is a failure about keku. This app was the best. Of late, I am experiencing a lot of call drops and either me or the person I'm talking to isn't able to hear the other person. Really disappointing. Every time I try to send an international text message, app crashes. Works fine in second attempt though. Contact search is very slow. iPod Touch 5th gen iOs 9.3.5 Keku app crashes seconds after launch. Same problem on my wife's iPhone 5s. Seemingly the problem started after latest Keku update on May 2, 2017. Until then app worked fine. 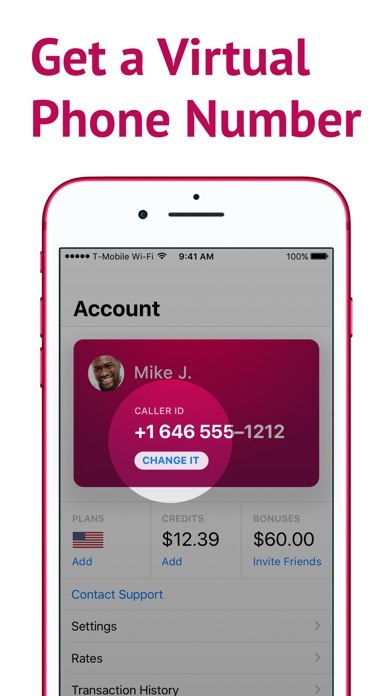 Long time user, very impress by the call quality and the easy way to make calls very affordable. Calls are dropping all the time! This is crazy! This used to be a good app and I have been a loyal customer for years until last year everything changed for the worse. Now with each update it gets more and more unreliable. What is going on there guys!? Can't you debug the app already??! Very frustrating. One of the best international calling apps I have ever used. Extremely good, cheap calls, a lot of mins! Very good sound quality! Highly recommend. Excellent! My mother recommended this service to me as she had previously used it she sent me a referral code in which we were both supposed to get a bonus credit i signed up sure enough i got a $5 bonus credit 2 hours later that credit was taken away.. I contacted customer support and they will not give me a reason why.. Keku is a scam they just want your money AVT MOBILE IS WAYY BETTER! This is absolutely unacceptable! I hope to see a fix in the next 48 hours, or I switch. Am going back to Rebtel. I can t recover my KeKu password, so upset. I can t access to my account because i Forgot my password. I m supposed to get it through my phone Number, but it keeps saying wrong password even though i use the one i got. I asked for Help and got sent a Number to call, but the Number keep telling me i got wrong Number. Tired about all this. - First thing first, the whole process of dialing a number to make a call needs the app and they have somehow manage to make the most important thing in the process really bad. - It keep crashing while I am dialing a number, searching a number, going back to the app to redial and even when I am trying to recharge my account! - Funniest part is even though I love the phone call quality and the rates, I am thinking about switching since It doesn't let me make the call in the first place. TLDR: Ridiculously bad app. Would not recommend to anybody. When I called without a wifi connection the voice was not clear at all. There was a lot of interference and the other person could not hear me at all. 3 times while on the line there was silence after 2 - 3 minutes and I had to hung up and call again. Every time the credit was dropping. I don't recommend it to be honest. Do not buy it. It keeps dropping. I even called them support number 1 (888) 587-4972 and they said they were going to fix the problem to give them 30 minutes. I gave them 16 hours and even bought another card to see if it would work and still not working. It cuts off after 4 minutes or worst..... it gives a busy signal. Very dissatisfied. Selling $5 credit for $8 and $10 credit for $15. Totally messed up accounting. When this app works it's wonderful, but lately ever since I upgraded I cannot get through. If my phone goes through, it is not to the right recipient or also it is asking to dial non local numbers, which am never able to connect. I wish I could get the version before the upgrade back, too many problems with the latest version. Cheap international calls, excellent network and above all, amazing support team. I'd give you more than 5 stars if i could. Thank you KeKu. The last several updates have made this app to have mediocre performance. It's impossible to make calls on Wifi or cellular data. If by luck you are connected it disconnects in about 15 minutes. There is also a terrible echo making conversation very uncomfortable. The problems are worse with iOS 11. 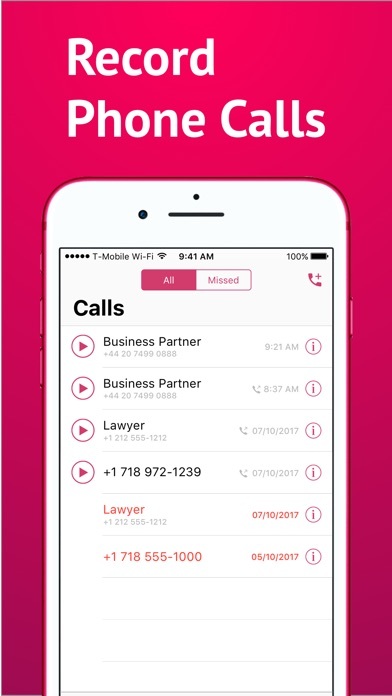 Excellent app for international calling, especially when traveling. Calls over Wi-Fi to real phone numbers worldwide make it invaluable travel companion. This was my go to app for international calling but now every time I dial someone, an old man recording goes off saying yes no and hello. And I know it's the app because I used another app called Comfi and it worked perfectly.! Hello there, I purchesed 5$ but I can not use the because I gave me calling failed. I am really disapointed about it. Please cosider my situation. It was very good. However, suddenly I cant make calls using cellular data. I am afraid to use local numbers because once I was charged by my carrier for international calls. In addition, sometimes the conversation repeats itself jus as someone has complained. If this problem is fixed I will give 5 starts and continue to use the app. Other than that it used to my best app. Love the interface, love the new account screen.